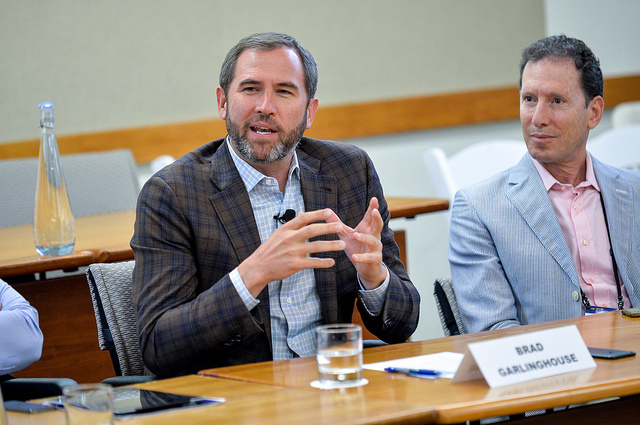 Not too long ago, Brad Garlinghouse, Ripple CEO highlighted in an interview that how useful XRP is for unbanked people living outside of their homelands. In the interview that has got accountable attention in the last twelve hours or so, the thoughts Mr. Garlinghouse shared look right on the money and relevant, and worth noting. The unbanked are people who do not have bank accounts at major financial institutions. Such people cannot make deposits and money transfers to colleagues and families so dear to them. Ripple (XRP) can come to the rescue handsomely as Brad affirms. The unbanked community in the world is a vast population, and according to a survey conducted last year, there are about 2 billion unbanked adults in the world. The most people in that number come from developing countries in Africa. It is necessary to note that undeveloped financial infrastructures, expensive banking services, low income, wars, and so on; all contribute to the increased level of the unbanked in Africa and some other areas in the world. The fight against poor financial infrastructures in different parts of the world has come to stay, and cryptocurrencies such as Ripple’s XRP is leading the fight. Ripple CEO, Brad Galinghouse, stated that giving the unbanked a good way to move and access money will stir an entirely new section of the global financial community, and XRP will make this possible. Ripple being forefront to help the unbanked people has shown that through its blockchain protocol, adults can have the opportunity to send and receive money without the use of bank accounts in different formal financial institutions. Also, the unbanked citizens can enjoy the benefits of financial systems without the need of an ID; all that is needed is a smartphone and a good internet to make transactions at low costs (and quickly). In its quest to help the unbanked communities, Ripple’s Coil partnered with the Gates Foundation last month. The essence of the partnership is to offer worldwide payment systems for the unbanked. The collaboration will foster the implementation of an Interledger protocol, and to look for means in which Mojaloop (an open-source software that helps to create payment systems for the unbanked) can assist the world at large. To share its technologies and network, Ripple has decided to spread its tentacles to the Middle East, which is one of the fastest growing marketplaces in the world today. It is important to know that the Arab states make up to nearly 35 percent of the global migrant workforce. Ripple has decided to set up a base in Dubai and Dilip Rao, Ripple’s Global Head of Infrastructure and Innovation, stated that the Middle East could take good advantage from Ripple blockchain as it can change the structure of cross-border payments over there. There is no doubt that changing global banking systems may take time, but as things seem to be shaping up, it might just be a matter of time until Ripple (XRP) takes over and produce a new financial structure.